Obituary – Thompson, Jack LeRoy « Perry High School Alumni Association, Inc.
– will work for the W. P. Elliot contracting company following the end of his senior year. He is the son of Kenneth Thompson, route 2, and is 18 years old. He was born at Council Bluffs, Iowa, and attended grade school at district 34, Perry. He has been in the band since 1941 and was active in wrestling team work. He plans to farm when the war is over. Jack LeRoy Thompson, 92, a resident of Perry, passed from this life on August 14, 2018, at Green Valley Nursing Home. The family would like to meet with friends in the family room of Trout Funeral Home on Sunday, August 19, 2018, from 2:00 pm to 4:00 pm. The funeral ceremony will be held on Monday, August 20, 2018, at 10:00 am at the Trout Funeral Home Chapel with Tom Howard officiating. Burial will conclude at Grace Hill Cemetery. 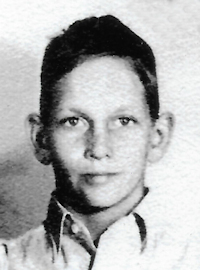 Jack was born on February 17, 1926, to Kenneth Francis and Gladys Irene (Bowman) Thompson in Council Bluffs, Iowa. Jack was an avid fisherman. He always said that 10% of the fishermen catch 90% of the fish, and 90% of the fish are caught 10 feet from the bank. His other interests were gardening and going to the casino. He loved life and was always surrounded by his large family and many friends. Jack farmed, worked in the oilfield, served as Perry Street Commissioner for two terms, and owned E. & J.’s Texaco on I-35 for 10 years before retiring in 1988. Survivors include Peggy (and John) Haxton, Bradley (and Ann) Thompson, and Randy Thompson all of Perry, John Ann Thompson daughter in law from Grove, OK and Michael (and Denise) Thompson from Midland Texas. 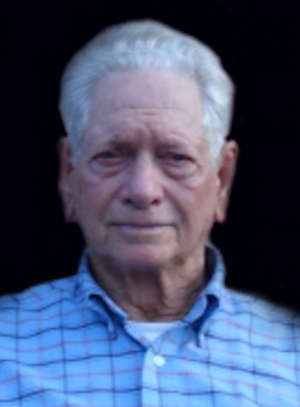 His brother Walter Eugene (Gene) (and Bernell) from Seagraves, Texas. His grandchildren are Brent and Robert Haxton, Lori Nealis, Lukas, Shawn, Bo, Tyler, Josh, and Tessa Thompson, Tori Manning, Joshua and Tylor West. He is survived by 15 great grandchildren and 4 great, great grandchildren. Preceding him in death were wife Ethel Delores Kemnitz Thompson, son Gary Dean Thompson, parents Kenneth and Gladys Thompson, brothers Lyell Floyd and Donald Dean Thompson, and sister Mariella Thompson Crews. Serving as casketbearers are his grandsons: Brent Haxton, Shawn Thompson, Robbie Haxton, Bo Thompson, Lukas Thompson, Josh Thompson, Tyler Thompson, Joshua West and Tylor West. Honorary casketbearers are his best friend Chuck Smith and his Sunday morning coffee buddies: Leon Hake, Bob Bornt, Babe Dickson, and Dennis Summers. In lieu of flowers, memorial contributions may be made to the Oklahoma Wildlife Conservation In the care of Trout Funeral Home of Perry, 1408 N. 7th Street, Perry, OK 73077.